Remember 1999? It was the year the world was scared of Y2K, Apple and Amazon were just million-dollar corporations, and the best ways to communicate were by an office phone line, fax, or email. We barely texted one another, and most of us still heard, “you’ve got mail” as we dialed up the internet on scratchy-sounding modems. It was also the year the Windstorm Insurance Network, or WIND, was officially incorporated, ironically, the same day Hurricane Floyd hit the North Carolina coast, on September 16, 1999. Its mission was to become the leading organization for educating and connecting the diverse insurance industry of windstorm and property claims. 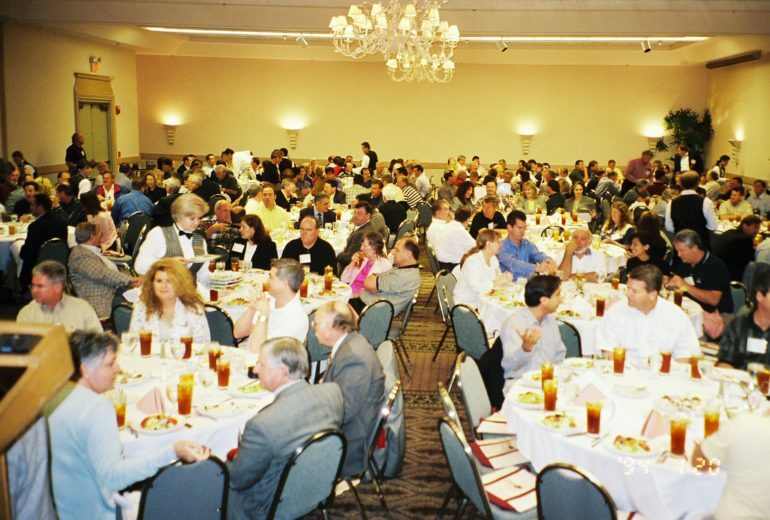 The fall of 1999 was a hectic time for WIND, as we furiously arranged speakers, assembled program materials, and promoted the conference on a shoestring budget and a limited team of insurance professionals. Through the many late nights and hundreds of post-it notes and printed Avery labels, we wondered and hoped our little conference would come together. Months later, we all thankfully survived the threat of Y2K, welcomed a new millennium, and kicked off the inaugural WIND Conference February 16-18, 2000. More than 350 attendees, many of top names in the industry, convened at an Orlando airport hotel to learn the latest in property insurance claims, earn Florida adjuster and Florida bar CE credits, and connected with shared drinks and dry snacks at our one networking event. Back then, everyone registered by paper, paid by check, and carried around five pound three-ring conference binders filled with mounds of papers and presentations of the 22 workshops that year. Fast forward to today. The conference, our industry, technology, and even the world has changed in 20 years. One thing that’s remained our constant: WIND’s mission to educate and connect the diversity of the property insurance claims industry. We’re steadfast on our commitment to help you connect, learn, and engage for the greater good of our industry and consumers. Today, we’re excited and honored to open registration for our 20th anniversary conference, this year hosted at a very special place, Walt Disney World. To the thousands who’ve attended, presented, exhibited, sponsored, networked, and traveled across the globe to attend WIND, we thank you, and look forward to hosting you again in January. If there’s anything we can do for you, please reach out. Thank you for your nearly 20 years of support of WIND.